Have you seen the sign? 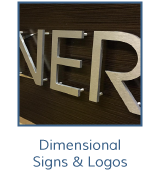 Comsign Architectural Signage offers customer-specific solutions for a whole range of signs, including storefront, wayfinding, decals, dimensional logos and vehicle graphics. 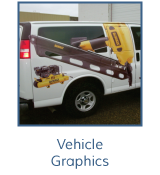 We offer a 1-2-3 solution in getting you the perfect sign to suit your purposes. 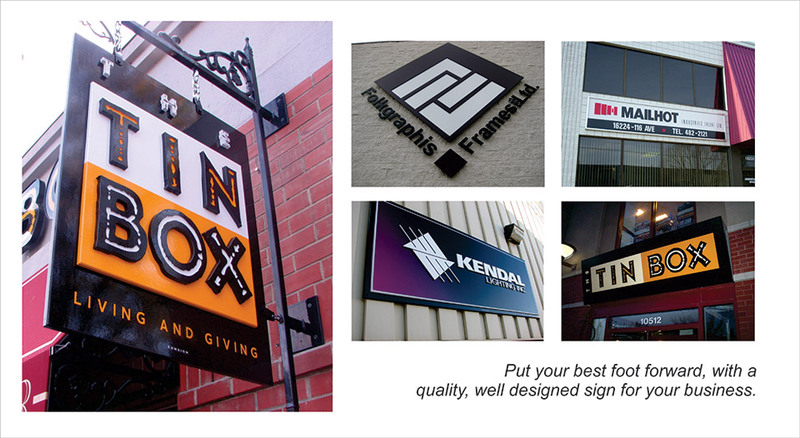 It all starts with a free personalized consultation to discuss your signage needs. Once you select a particular product and design, we will provide you with a free estimate of the costs. Then, we can deliver a full turnkey installation or provide signage for you to install yourself. 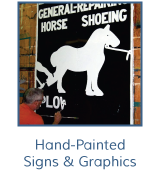 You may be surprised to learn that our shop has advanced capabilities and we often take on work outsourced to us from other sign makers and advertising agencies. Whether you need one or 1,000 signs, we can come up with a cost-effective solution. 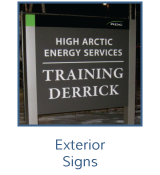 For specialized business signs in Edmonton, choose Comsign! As a property manager, helping folks get where they need to go is most likely one of your top priorities. Comsign Architectural Signage can help with our diverse range of wayfinding signage solutions. 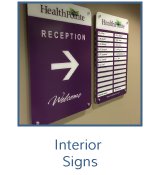 Whether tacked to a wall or as a freestanding display, wayfinding signs are an essential part of any business office, retail outlet or housing complex. 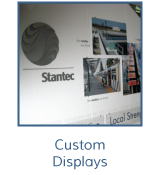 Get started on your custom display, dimensional or wayfinding design — call Comsign Architectural Signage today!